good filterability and high purity. Let’s have a more detailed look at the last point. The basic application of steam turbine – is power generation. In some cases power of these devices may reach 1,300 MW. It is easy to imagine how many people could be left without electricity in the event of failure of one or more units. Therefore, it is important to prevent potential breakdowns of steam turbines. And the best guarantee of long-term, high-quality and trouble-free operation of the turbine – is the purity of turbine oil. It is oil that provides hydrodynamic lubrication of absolutely all bearings and gear boxes, disperses accumulated heat, prevents friction and wear under shock loads as well as being a lube fluid for controls and safety. For an appropriate level of performance – turbine oils should go through primary (before pouring in) and regular filtration, purification and recovery. Special turbine oil purification unit CMM-T can carry out all these operations. This equipment purifies turbine oils to 9 grade starting at 13 grade, that is achieved by repeated passage of oil through thermal vacuum treatment and purification via special filters. 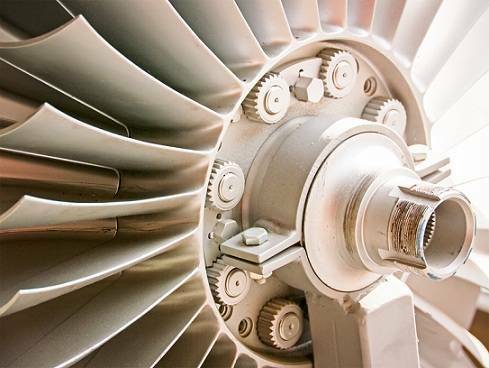 Preventive treatment of turbine oils can significantly prolong service life and improve operation of all parts and components of steam turbines. International standards divide turbine oil into 2types, according to operating temperature. First oil – is DIN 515-1 L-TD, which is recommended to be used under normal temperature range. Second oil – is DIN 515-2 L-TD for operation at temperature that is higher than normal.